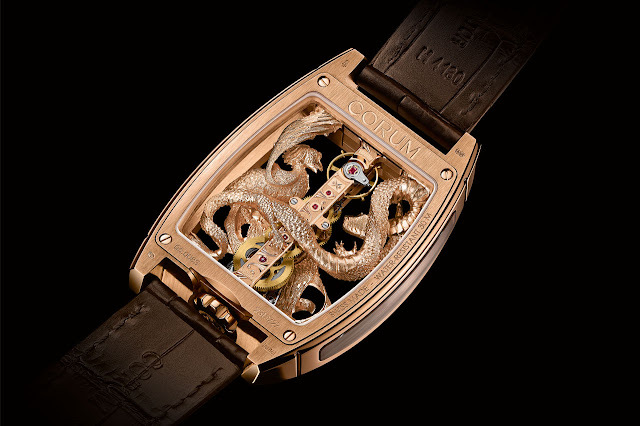 Corum has let its creativity run free and orchestrated an encounter between two of the most fascinating creatures in Chinese mythology: the dragon, symbol of life and strength, and the phoenix, bearer of good omens. 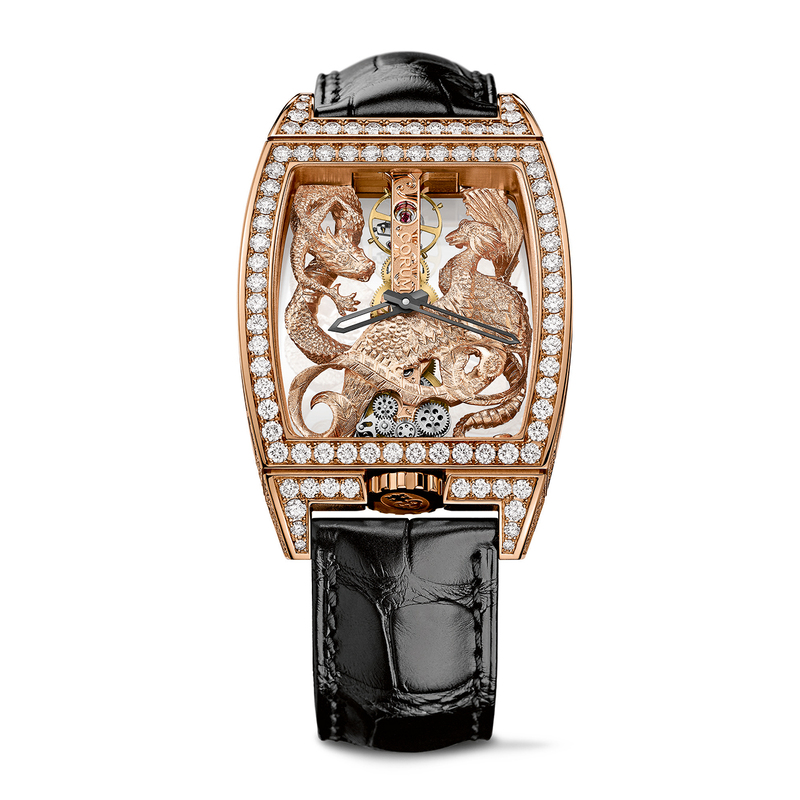 Joined together by the legendary baguette movement that is exclusive to Corum, these mythical beasts bring the promise of prosperity. Hand-sculpted from gold, they come to life through meticulous engraving; a single piece takes three weeks to complete. 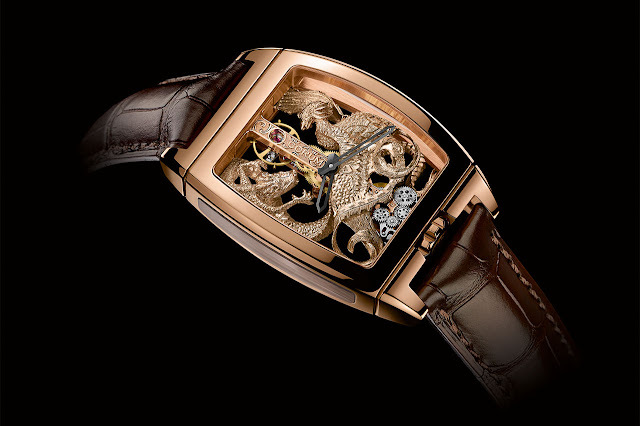 This Golden Bridge Dragon & Phoenix is a lesson in mechanical virtuosity too, as revealed by the linear architecture of the CO113 calibre whose vertical axis is prolonged by the crown at 6 o'clock to further highlight its exceptional construction. The movement is enclosed inside the transparency of a tonneau case with crystal, back and sides all in sapphire, so that the eye can embrace both dragon and phoenix in their three dimensions.